February 1, 2019 12:09 pm. 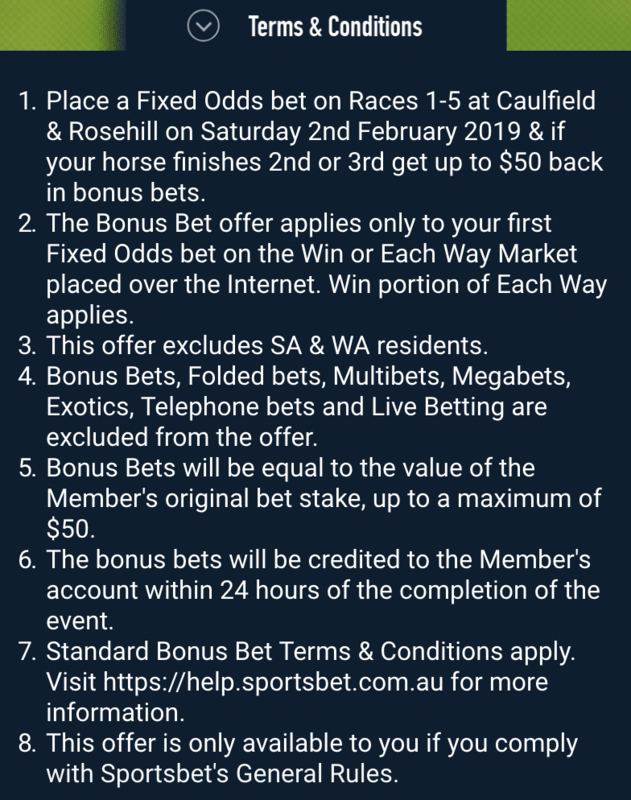 The first Saturday of racing since the Darren Weir saga engulfed the industry will be a closely-watched one with plenty on offer for punters at Sportsbet.com.au. After endless headlines and controversy in the last three days, everyone at HorseBetting.com.au is craving the distraction of some quality Saturday fields to sink their teeth into. 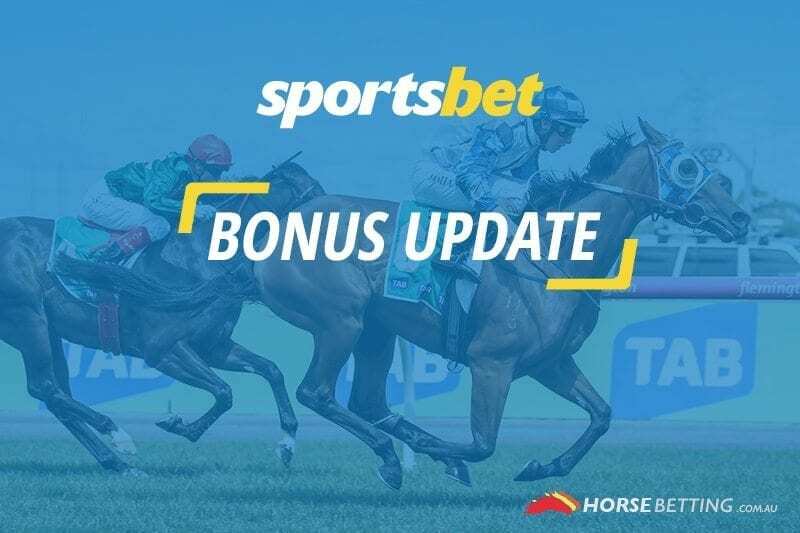 Thanks to our friends at Sportsbet.com.au, punters will be treated to some quality bonus-bet-back specials at both Caulfield and Rosehill. 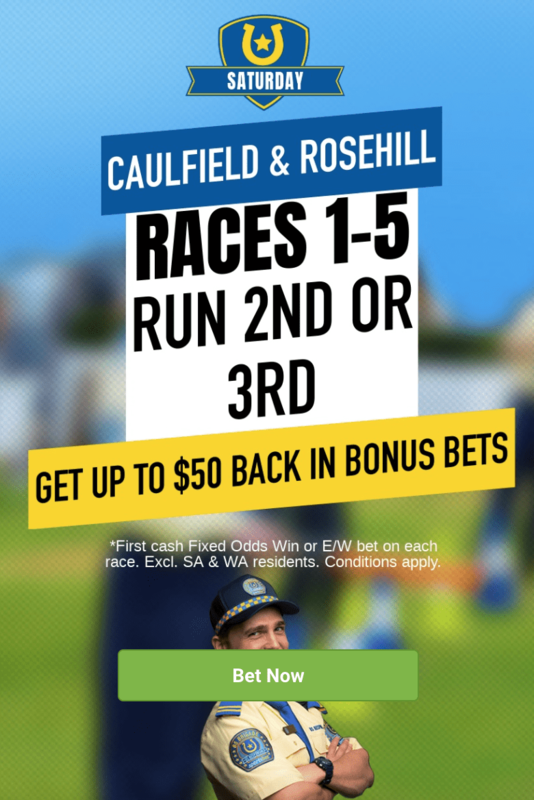 If you back a fixed odds runner in any of the first five races at both Caulfield and Rosehill and your horse finishes second or third, you’ll get up to $50 back in bonus bets. The deal excludes South Australia and Western Australia due to state laws. Please ensure you read the terms and conditions below and gamble responsibly. Race one of the Caulfield meeting kicks off at 12.35pm AEDT, while the first at Rosehill jumps soon after at 12.50pm.